EU data protection regulation decoded, through expert insight, explainer videos, eBooks and more. New series! AWS experts, partners, and customers from across Europe talk all things GDPR. Expert knowledge and insight from AWS and partners, on tap whenever you need it. Tune into the GDPR video series and learn how to build an effective security & data protection strategy. 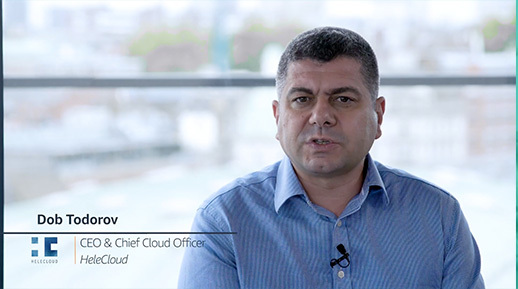 Bharat Mistry, Security Strategist at AWS partner Trend Micro explains who is responsible for data protection in the cloud. This is an excerpt of a recent talk by AWS Senior Manager Data Protection, Christian Hesse, on the rights, roles and responsibilities of GDPR. Watch Christian's full talk here. Christian Hesse, AWS Senior Manager Data Protection, explains what compliance means within GDPR. To watch Christian's full talk, please see here. AWS Senior Manager Data Protection, Christian Hesse, explains how AWS tool and functionalities can help you with GDPR. Bharat Mistry, Security Strategist at Trend Micro reveals a cybersecurity framework to help with GDPR compliance. Bharat Mistry, Principal Security Strategist at AWS partner Trend Micro explores what tech standards mean within GDPR. Learn how to build an effective security & data protection strategy with Tim Rains, EMEA Regional Leader, Security & Compliance Business Acceleration at AWS, Stephane Ducable, Director, EU Public Policy at AWS, and Francisco Mingorance, General Secretary of CISPE. Level up your knowledge on the EU's game-changing data protection law with our new eBook. To raise the bar on data security and compliance through open discussion, shared knowledge, inspiration, and curiosity. Tell us more about the topics you'd like to hear about! Here at the GDPR Hub for the Public Sector, we actively engage in the conversation around data protection and security. We share our knowledge – through exclusive eBooks, through our new In Conversation With… video series, through partner expertise and more. We ask questions, we find answers. And it’s all free, just as the best information should be. Can’t find what you’re looking for? If there’s something specific you would like us to explore, you can let us know here.